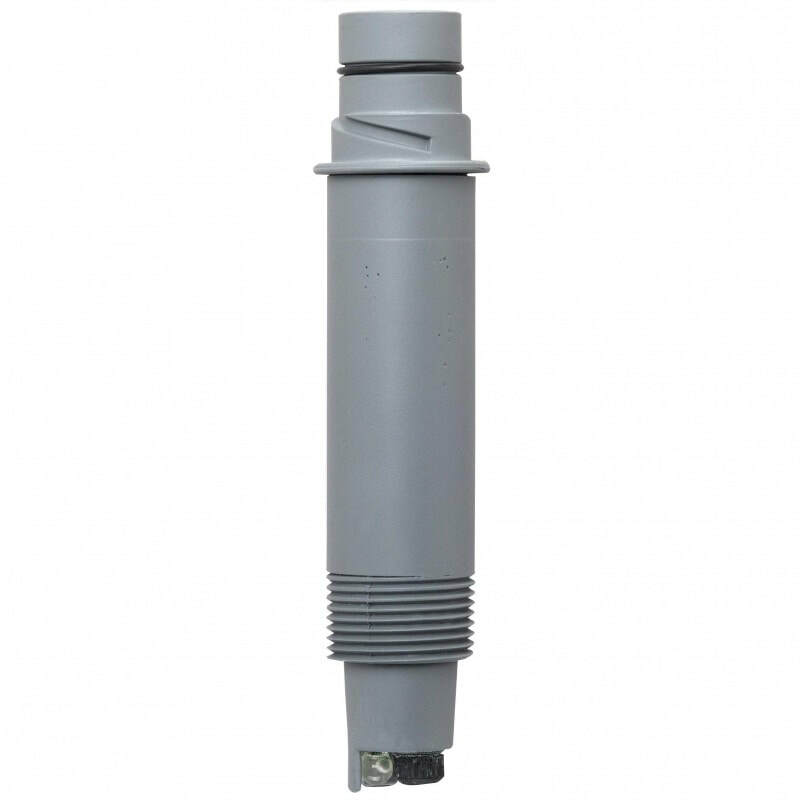 The Signet 2764 – 2767 range of differential pH/ORP Electrodes are built with the DryLoc connector, a Ryton® body and TeflonT reference junction to handle the most extreme and harshest of chemical applications. These differential electrodes use the field-proven 3-electrode differential technique: the pH and reference electrodes are measured against a ground electrode, insuring a steady and stable signal. The key feature of the differential design is a reference electrode which is protected in a glass half-cell embedded in the reference chamber and is protected from compounds that may contain sulphides (H2S) and metals, including lead, mercury, and silver. To ensure a long service life, the reference features a refillable electrolyte chamber and a replaceable equitransferant salt bridge, both easily serviced in the field.